Mother Moon’s talks such as this have stimulated much discussion of the term “only-begotten daughter.” Some consider it a “heresy.” A well-known Korean lecturer is reported to have said, “The Only-begotten Daughter as Mother describes it does not exist.” The article citing him states that Mother Moon describes Only-begotten Daughter as “being born without Original Sin.” I think this does not do justice to her self-presentation as only-begotten daughter. In this article I explain why. So the Bible provides latitude. “Only-begotten” conveys that Jesus is unique, and “firstborn” conveys he is the first among many. Hellenistic philosophy did not provide a foundation to understand the interplay of divine and human. For those fourth century Christians, it was one or the other. Being “begotten of God,” Jesus was one with the uncreated God, hence “begotten, not made,” or “uncreated.” On this they hinged his unique power to save the world. By the fifth century, “only-begotten son” became the marker of orthodoxy. Still today, “only-begotten” conjures up an impregnable fortress of Christian faith: Jesus is the one and only name. And although most Christians would deny predestination, they nonetheless believe Christ’s sinless birth and death on the cross was God’s plan from the beginning of the world. This puts Christians in a theological vise-grip. Not much wiggle room for Christ to return as a Korean couple and reshape the Gospel story. And Unificationists as well tend to view True Parents, or for some True Father alone, as predestined, God’s plan from the beginning, born sinless like no one else. To loosen this vise-grip for us as well as Christianity, I offer an interpretation of the meaning of only-begotten. It is my interpretation only, but follows the Divine Principle outlined in Mother Moon’s words quoted above. Adam and Eve were meant to marry with God’s Blessing, on the foundation of fulfilling their responsibility. They failed to do so. To achieve God’s thwarted purpose of creation, humankind has to set the foundation to receive a new Adam and Eve. We do so by undoing the first Adam and Eve’s failure and fulfilling their responsibility. Not being whole and complete offspring of God, we do this through indemnity conditions. To bring forth the new Adam and Eve, who is going to be God’s horizontal object partner? Human beings. So human beings need to make the conditions to separate an act of conception from Satan’s meddling, to create an act of conception that is good, centered on God alone. Rev. and Mrs. Moon outline the major conditions for this to happen, which were set in Jesus’ lineage. The foundation for Jesus’ birth was also the foundation for the birth of his would-be bride, whom Father Moon refers to as John the Baptist’s younger sister. Rev. Moon, to my knowledge, said nothing about her birth, but he did say that if an only-begotten son is born, an only-begotten daughter will be born. So the conditions had to be in place in her lineage. Now, are the only-begotten son and daughter born equally from God, a Genesis 1:27 model? Or is the daughter born out of the son, a Genesis 2:21-22 model? This was the filioque debate in Christian history: does the Holy Spirit proceed from the Father or from the Father and Son? Principle works with both models. This essay works with the Genesis 1 model; the Genesis 2 model will have to wait. So every child is begotten of God, but can be “purely begotten,” without Satan’s claim, or “misbegotten,” with Satan’s claim. Which it is depends on the parents. If the parents are born of a lineage mingling God’s love and Satan’s love, which Unificationism calls “Satan’s lineage,” then their children are misbegotten; that is, they inherit the Original Sin. On the other hand, if the parents fulfilled the conditions that Jesus’ parents fulfilled, through the marriage Blessing, their child is “purely begotten,” born without sin. It means God’s object partner in the child’s creation set the condition for God to claim the act of conception. 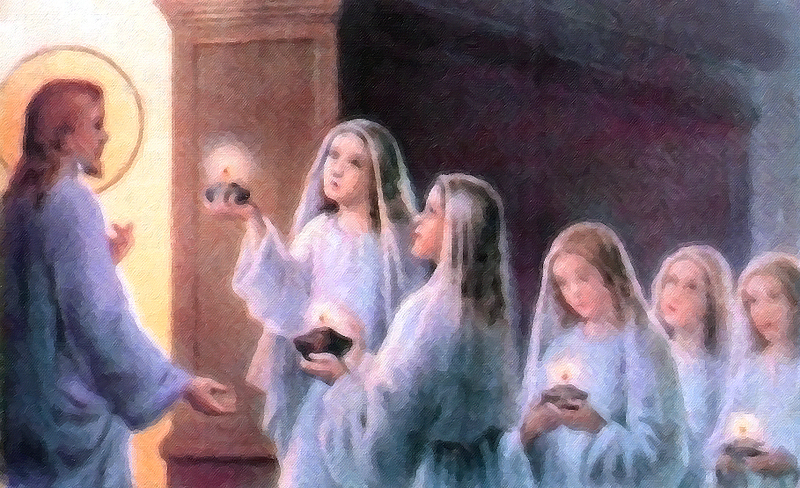 A depiction of the parable of the virgins. But being purely-begotten is only the beginning of the only-begotten story. Adam and Eve were purely begotten, but they fell. Jesus was purely-begotten and he grew into true maturity and obediently gave his life for us. That is what makes him, and not Adam, God’s “only-begotten son.” To be “only-begotten” means to be born and live one’s entire life in only one love. Similarly, Isaac’s absolute obedience made him Abraham’s only-begotten son. (Heb. 11:17) “Only-begotten” is about one’s life, not just one’s birth. The writer of Hebrews was not making claims for Isaac’s lineage, but for his absolute obedience. And we note well that this reference to Isaac shows that in the Bible, “only-begotten” does not refer just to Jesus. And Mother Moon’s absolute obedience made her God’s only-begotten daughter. “The issue,” Father Moon once said, “was whether she could overcome everything and be victorious. 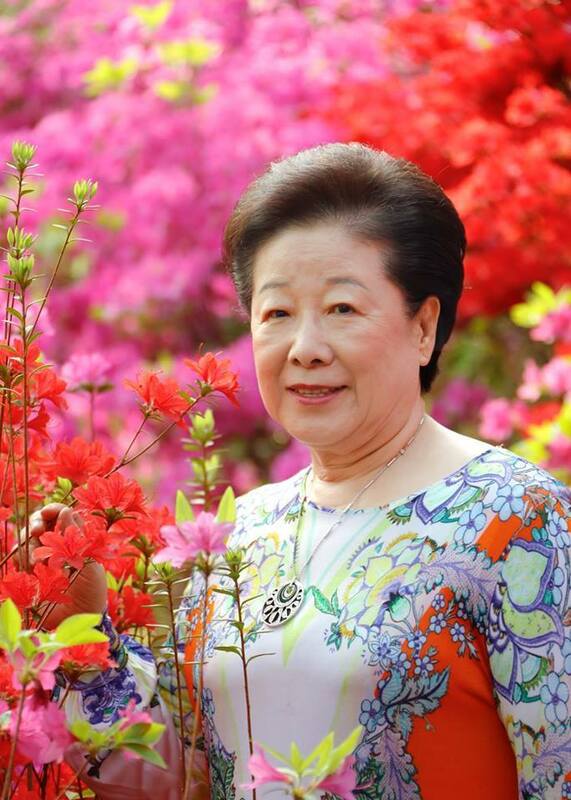 Mother was victorious over all of it.” (Chambumo Gyeong, p. 209 and pp. 203-210 passim) She fulfilled her responsibility to stand as the only-begotten daughter and on that foundation she and Father Moon together could become True Parents, humankind’s original ancestors. Was the advent of those specific two people as True Parents predestined? The answer is yes, according to the Divine Principle definition of predestination. As with every one of us, God predestined them on the basis of their nation, lineage, education and training, personal character, and time and place in the providence. Divine Principle predestination is from birth, but one does not realize what one is predestined to be, and become what one is predestined to be, except by fulfilling one’s 5% portion of responsibility. In other words, a person’s predestination appears in their accomplishments. The proof is in the pudding; the tree is known by its fruit. I call it “postdestination.” You don’t realize it was predestined until it happens. And it happening depends on your 5%. The legend of King Arthur illustrates this as well. In the story of the sword in the stone, no one, including Arthur, knew that he was predestined to be king until he fulfilled his 5% by pulling the sword from the stone. Only the one born to be king could do that; hence he was born to be king. The Bible illustrates this in the Acts 4:11 teaching that the stone the builders rejected, Jesus, turns out to be the cornerstone. The builders don’t know which one is the cornerstone until they get to the corner. Acts 4:12 honors the fruit of Jesus’ life: “Salvation is found in no one else, for there is no other name under heaven given to mankind by which we must be saved.” What starts as contingent concludes as absolute. In the case of Christ, of True Parents, it becomes the linchpin around which history turns. Dr. Tyler Hendricks served in leadership roles with IOWC, Ocean Church, U.S. CARP, the International Religious Foundation, and HSA New England Region, before becoming President of the Unification Church of America (1995-2000) and of Unification Theological Seminary (2000-10). He publishes regularly on True Parents Way, directs the Center for Education at UTS, and co-hosts “Holy Marriage Blessing,” the radio ministry of the Unification Families of Kingston (NY), Sunday mornings at 7 a.m. ET on WKNY, 1490 AM (simulcast on the Web; programs archived at Holy Marriage Blessing). 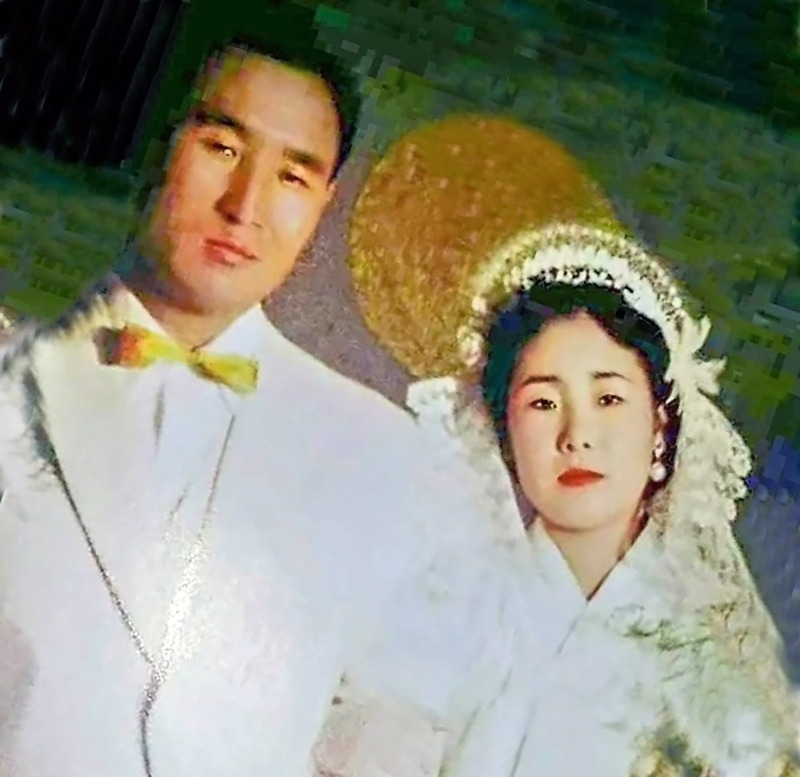 Photo at top: Reverend and Mrs. Sun Myung Moon at their wedding in Seoul, Korea on April 11, 1960.